Georgia courts cannot make a fair and equitable division of a couple’s marital property, as required by Georgia law, if either spouse hides money during the divorce proceedings. Spouses sometimes siphon money into secret accounts or otherwise begin to hide assets in anticipation of divorce. However, spouses cannot legally conceal assets from the court, and a spouse who hides assets may face significant penalties. Georgia law requires both spouses to file a financial affidavit as part of the divorce process. This affidavit is a document that lists the spouse’s income and expenses, and the court uses it to make child support, alimony and property division decisions. When a spouse signs the affidavit, he is swearing to the court that the information it contains is correct and truthful, so if he lies on the affidavit, he is lying to the court. Concealing cash or other assets on this affidavit could be punished as perjury, just like giving false testimony in court. However, a spouse can revise his financial affidavit if, for example, he realizes he forgot to list something. When a spouse lives an extravagant lifestyle that is not financially possible based on the assets he claims on his financial affidavit, he may be hiding something. However, even when one spouse knows the other is hiding assets during their divorce, a Georgia court is unlikely to just take her word for it; instead, she must be able to prove it to the court. This may involve hiring a forensic accountant or other expert to find discrepancies and trace them to hidden accounts or assets. For example, a spouse might start dealing in cash to avoid a paper trail, but if he uses those funds to purchase costly assets, an expert could discover his hidden wealth. If the wronged spouse can prove the lying spouse hid assets from the court, the latter may be punished criminally for perjury and the court can also punish him financially. 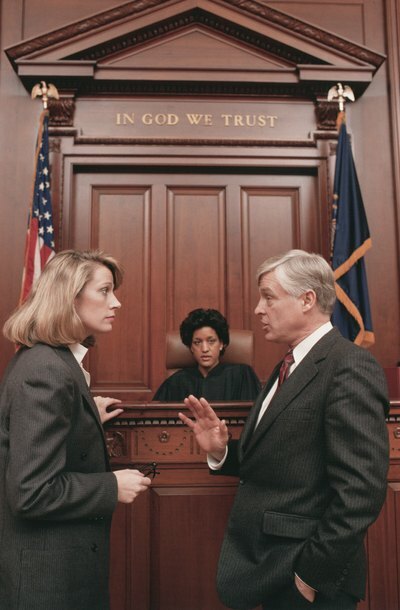 Georgia courts can even hold an attorney partially responsible if the attorney’s client hides cash or assets in a divorce and the attorney fails to revise the client’s financial affidavit when he finds out about the hidden assets; the attorney has an ethical duty to disclose that information to the court. The attorney can be sanctioned by the court or even risk his law license being revoked if he continues to represent to the court that the client’s financial affidavit is accurate. If the wronged spouse does not discover the concealed assets until after the divorce is final, Georgia law allows judges to modify the divorce decree. The court can adjust the property award as appropriate to address the bad actions of the lying spouse. For example, if the court normally would have divided property 50/50, it can instead award a greater share to the innocent spouse to punish the offending spouse for hiding assets. If the spouses reached a settlement agreement in the divorce instead of having the court divide their property, the court can later modify the divorce to set aside the agreement that didn't take concealed assets into account. An executor is responsible for managing many aspects of a decedent's estate, including assets. You must act if you believe an executor is being unfair or behaving dishonestly. If you fail to take action against an executor performing in a dubious or unethical manner, the estate may suffer losses and you could lose part or all or your inheritance. State laws vary, but you can usually take action against an executor if you are an interested party to the estate, such as a beneficiary under the will. What Does Hiding Assets in a Divorce Mean in California?